Heute habe ich mal ein Halloween-Layout gestaltet. 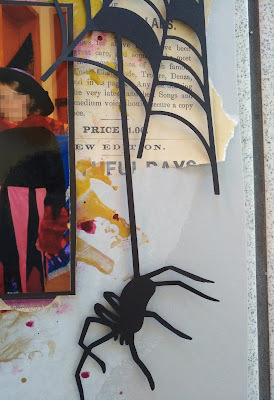 Es passt zur aktuellen Challenge von Stamping fairies, die das Thema Halloween hat. Zudem habe ich noch die Aufgabe von Lasting Memories umgesetzt und Stücke einer Buchseite verwendet. 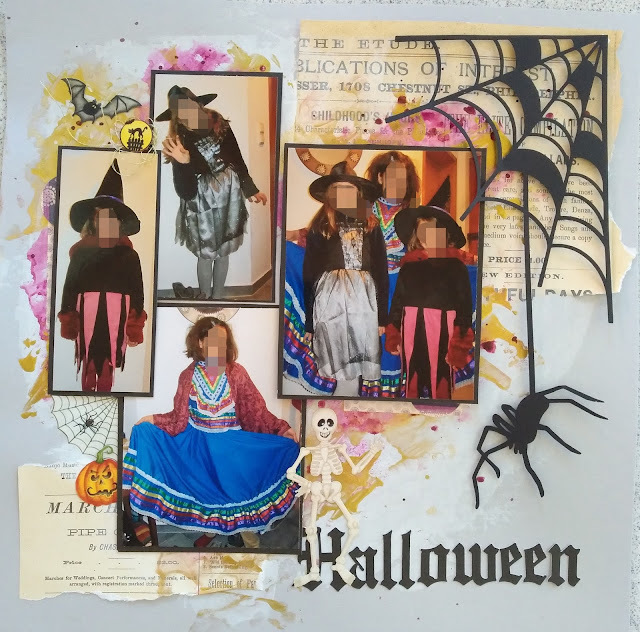 Today, I created a halloween-layout! It fits perfectly with the actual challenge of stamping fairies, which has the theme: Halloween. In addition to this, I realized the assignment of lasting memories and used a piece of a bookpage. Als Hintergrund habe ich hellgrauen Cardstock verwendet. Darauf habe ich die Stücke einer Buchseite geklebt und darüber etwas Gesso verteilt. Darauf habe ich pinkes shimmer-spray von Heidi Swapp und goldene Acrylfarbe (das Paket von stamping fairies kam genau richtig ;-) ) verteilt. Das Spinnennetz habe ich mit meiner Cameo ausgeschnitten und mit Abstandspads aufgeklebt. Alle Fotos erhielten -passend zu Halloween- einen schwarzen Rahmen. Der Schriftzug Halloween ist ebenfalls mit der Cameo geschnitten (Schriftart: english towne). Noch ein paar Sticker aus meinem Fundus - fertig. I used light grey cardstock as my background. Onto this, I glued 2 pieces of a bookpage and smudged some gesso on to the whole background. Then I splotched some pink shimmer-spray (Heidi Swapp) and golden acrylic paint. I cut the spider web with my cameo and stuck it with some foam pads. All of my photos get a black frame - consistent with the halloween theme. The lettering is cut with my cameo, too (font: english towne). Finally some stickers from my stash - ready. Fabulous Halloween layout! The book page adds the perfect aged look to your spooky layout! Great background work! 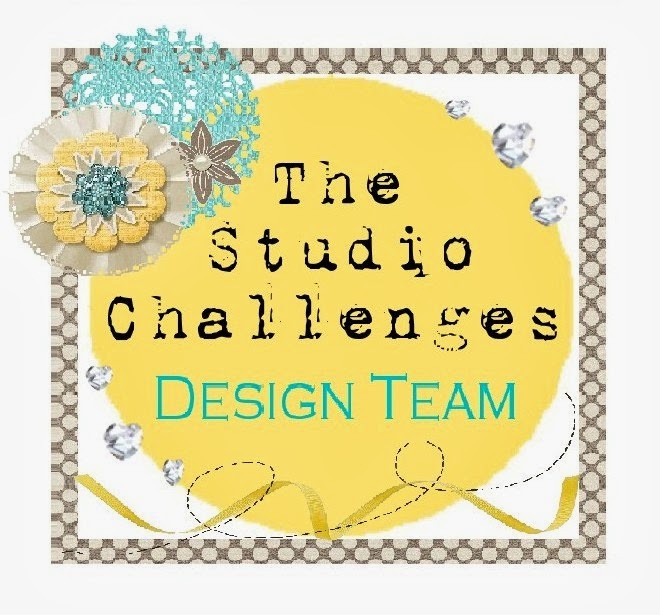 Thanks for playing along with Lasting Memories Layout Challenges!! !